There are many programs out there that allow you to make copies of your DVDs and let you watch them the way you want to view them. If you're looking for freeware to rip DVD movies in Windows PC so that you don't need to spend any money on DVD ripping, you're definitely being right here. 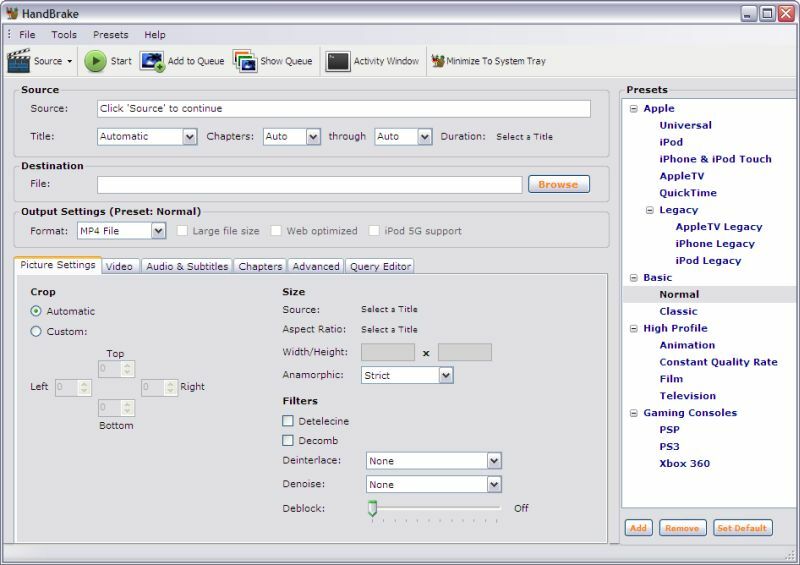 If you have a collection of DVD movies or music videos and want to extract a chapter or make a full backup copy from a DVD to a video file in selected format, these are the best free DVD rippers you might be looking for. Keep on a brief introduction of the best 5 popular DVD ripper freeware and choose the one you like to help you convert DVD to video in Windows (Windows 8 included). Most of you may be familiar or have heard with the free DVD Ripping program. Handbrake is a free and cross-platform DVD ripper to rip DVDs for playback on iPhone, iPad, iPod, PSP, Apple TV, etc. For version 0.9.3 or above, it can also convert videos. This free DVD ripper only works well with personal DVDs that you have purchased. If you want to rip some encrypted commercial DVD movies, you'd better turn to other DVD ripping software like EaseFab DVD ripper software. DVD Shrink has been considered as the best DVD ripper freeware for Windows (Windows 8 compatible). Although it hasn't been developed for a very long time, it stills gains popularity in DVD ripping backup and compressing. DVD Shrink can compress the usual 8GB dual-layer DVDs down to 4GB sizes that fit on a single layer (4.7 GB) DVD. 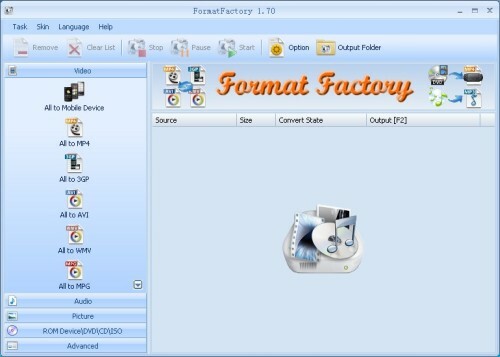 Format Factory is an all-in-one free video converter and DVD ripper. It comes with 4 cool skins and supports more than 56 languages, which make it very special among all the free DVD rippers. The intuitive interface enables you to find the conversion options easily. Besides, it allows you to convert DVD to lots of video formats including mobile devices video formats. 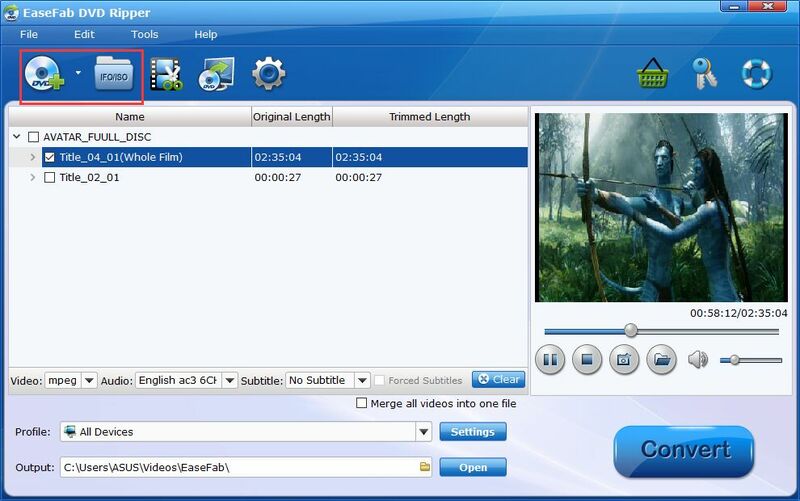 Before starting the DVD ripping process, you can adjust video bitrates, size, add subtitle, watermark, etc. as you like. Like DVD Shrink, DVD Decrypter hasn't been updated for years, but many people still prefer this free DVD ripper software. DVD Decrypter can help you copy DVD to your computer's hard drive for backup in just a few mouse clicks. DVDs protected with CSS, Mac revision content protection, region codes, etc. can all be dealt with DVD Decrypter. DVDFab HD Decrypter is an all-in-one DVD copy, DVD ripper and DVD creator. It can help you cut through copy protection and rip DVD to your hard drive. It doesn't offer any compression tool so the output video may be very large. DVDFab is the simple version of the advanced paid DVDFab Platinum. But it enables you to do whatever you need for DVD ripping. If you want to rip DVD to various popular video formats like MP4, AVI, MOV, WMV, MPG, FLV or audio format like MP3, M4A, AAC, WAV, OGG, etc. You'd better turn to other DVD ripper software because these DVD ripper freeware cannot meet your needs. EaseFab DVD Ripper for Windows (compatible with Windows XP/Vista/Windows 7/Windows 8) is strongly recommended because it is an amazing tool with many useful functions. With it, you are able to rip as well as convert DVDs to almost every audio and video format such as MP3, MOV, WMV, MP4, AVI, WAV and much more. It can carry out these tasks while bypassing the copy protection. It comes with 150 and more presets for many portable media players, including Android smartphones, game devices, Apple products, etc. Besides, you can use EaseFab DVD Ripper as a DVD backup tool, which allows you to copy your DVD to hard drive with original structure or main movie only. The process is straightfoward. Pop in your disc, choose an output profile (such as H.264, MP4, or HD MP4), and click Convert. Then... you're done!